Since last friday, the General Data Protrection Reglulation (GDPR) is in force. Complaints have been filed against Facebook, Google, Instagram and WhatsApp within hours of the new GDPR data protection law taking effect. Google and Facebook accused of breaking GDPR laws bbc.com A reason for CESA to talk about it, as it concerns the connected car. CESA2018 in December will therefore have a session on data protection and security. French police will explain he threats of connectivity and data processing in mobility, then the French Data Protection Agency (CNIL) will explain the new GDPR and a lawyer will explain, how to apply it in practice, how to cope with the compliance requirements and how to benefit from it to develop new products. 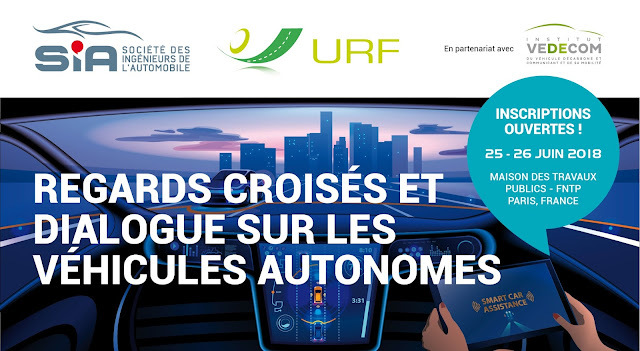 Very soon a very important symposium on the autonomous vehicle in Paris as a collaboration between automotive and road infrastructure industry with keynotes from Luc Chatel, President of the PFA and Anne-Marie Idrac, High Responsible for the Autonomous Vehicle in the French Government. You should not miss this event!